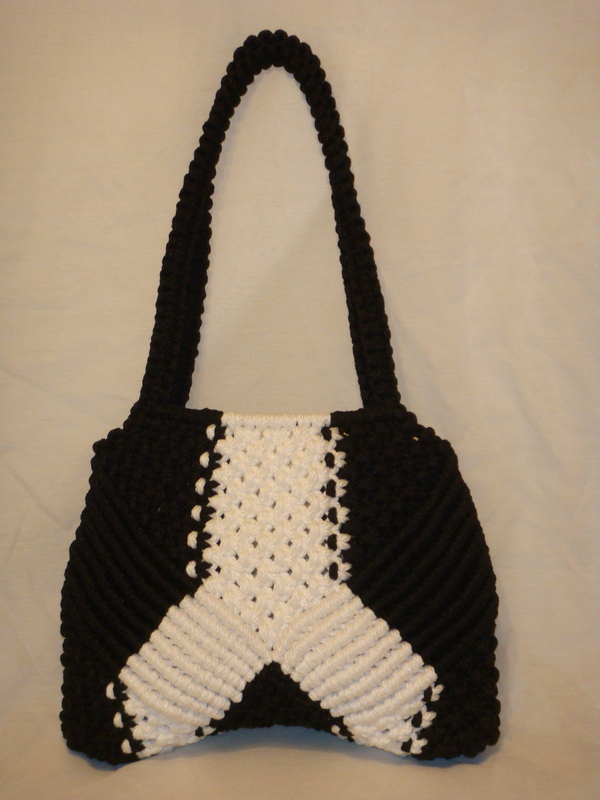 This entry was posted in Finished Projects, Main Page and tagged 6mm, black, large, macrame, macrame purse, shoulder strap, white. Bookmark the permalink. Oh, I like how the patterned turned out! Very cool!